If you live in Susanville and own a small, upholstered footstool with turned handles, you or someone you know took a wood shop class from Clarence Ash, who died on March 4, 2019 at the age of 92. The 12th of 15 children, he was born in Phoenix, Arizona on May 23, 1926, to Alfred and Dora Ash on their migration from a dust bowl stricken farm in Texas to a new life in California. Clancy attended high school in Santa Rosa, California, where he showed a great talent for woodworking and home building. Not only did he win numerous state awards for his furniture projects, he and his brother also built and sold two houses before he was 16. At 17, Clancy followed six of his brothers into military service in WWII as a Navy Commando, the precursor of today’s Navy Seals. Later he was placed in charge of the fleet cabinet and carpentry shop. Once out of the Navy, he attended Santa Rosa Junior College, where, even though a student himself, he taught shop classes while earning an associate of science degree. Before he was out of college, he married Etta Nuckolls, and together they had four children. 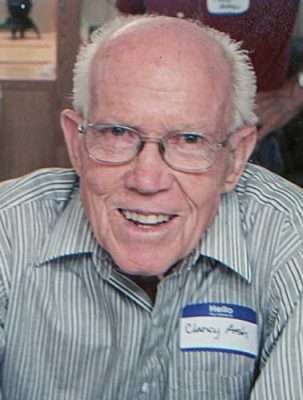 Clancy graduated with a master of science degree from Chico State College in 1951 and found his calling as a teacher of math and wood shop at Lassen High School in Susanville, California. He loved teaching woodworking, welding, and carpentry to countless students at Lassen High and Lassen Community College. His nationally recognized program taught specialized techniques, work ethics, discipline, pride of workmanship and accomplishment. Students lucky enough to take his four-year shop program learned top-tier skills, which many later turned into careers and businesses in carpentry and cabinet making. Clancy also taught his students how to enjoy life, and to many he became a life long mentor. He was especially proud in 2015 when the Lassen High School Alumni Association honored him with the alumni of the year award and granted a student scholarship in his name. 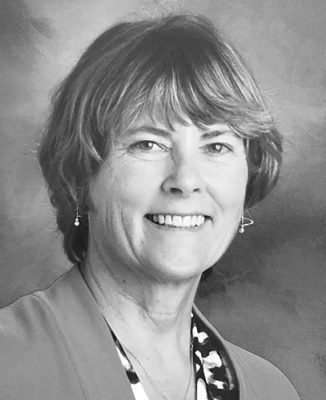 Clancy married Nancy Mitchell, also a teacher at Lassen, in 1972. When not teaching, they were busy gardening, hunting, fishing, and caring for grandkids and horses. He was the expert who shared with us how to trim roses, how to build a roof truss, how to glue up a piece of furniture, what kind of deck stain to use, when to spray your fruit trees, how to can jelly, how to make a sourdough bread starter, and how to flatten a penny on the railroad tracks above his beloved cabin at Lake Almanor. Yes, besides those many upholstered footstools, the making of which taught the use of every tool in his wood shop, Clancy left us with life-long memories. Whether we called him Mr. Ash, Clancy, Uncle Dude, Dad, or Gramps, he modeled for us integrity and compassion and did his best to prepare us to make good choices so that, in the end, people can say of us, as we can say of him; his was a well-lived life. Clarence is survived by Nancy, his wife, of 47 years; and his four children, Mike (Mary) Ash, of Gresham, Oregon, Sandra (Jim) Deaton, of Hereford, Arizona, Larry (Ana Maria) Ash, of Northport, Alabama, and Keith Ash, of Laramie, Wyoming. He also leaves 20 plus grandchildren and great-grandchildren; and one great-great grandchild. Dale Earl Good, 93, died Tuesday, March 19, 2019 in his home in San Diego. Brandon Good, Collin Good, Jodie King, Kellie Gross, Amanda Wattenburg, Jordan Good, Megan Wright, Rachel Good and Trevor Hall. After high school graduation, and naval military service, he graduated with a double degree in electronics engineering and oceanography from the University of Wyoming. He and Wilma relocated to San Diego soon after graduation, where he worked as a civilian for the Naval Undersea Center, until his retirement. They raised their three children Diana, Larry and David there. When she wasn’t teaching, Susen worked in her garden and the family traveled and visited relatives. She and Kest were often seen pedaling their tandem bicycle. Susen had a well-earned reputation for being goofy. There was a good chance that if she was around, some form of silliness was going to take place. Susen retired in 2016 and was diagnosed ALS shortly thereafter. She remained positive throughout her illness, popping on a clown’s nose she kept in her purse when things got too serious and giving two thumbs up and a smile when asked how she was doing right up until the end on March 19, 2019. Along with her husband and daughters, Susen is survived by her mother, brother and sister. She was a wonderful daughter, wife, mother, sister, aunt, friend and teacher and she is sorely missed. ← Don’t forget to vote for state senate today!